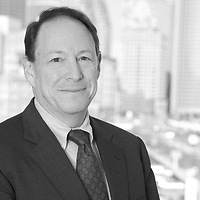 Jonathan Kotlier, a member of the firm’s Government Investigations and White Collar Defense practice group, published “A Primer for Litigating Against the Massachusetts Securities Division” in the Summer 2011 issue of The Boston Bar Journal. The article discusses strategies for litigating a case against the Massachusetts Securities Division (MSD) and how to position your case for review by the Superior Court. The MSD enforces the Massachusetts Uniform Securities Act, G.L. c. 110A et seq., which prohibits unlicensed and/or fraudulent activity by anyone who offers or sells a security in the Commonwealth. Jonathan and Allison point out that the MSD has extraordinary power as it can impose financial sanctions, order a person to cease and desist from the unlawful practices, or suspend or revoke the registration of any broker-dealer, investment advisor or agent. While litigating a case against the MSD can be expensive and time consuming, Jonathan notes it can be beneficial and produce a better result rather than settling early on in the process.